This extract is somewhat dated but is very relevant to what has happened and is still happening in the homeland; to our natural resources, to our patrimony that should have been taken cared of by us for the future generations of native Filipinos. Instead, due to a mix of mass ignorance, mass apathy and selfish individualism of the educated Filipino, we have allowed our patrimony to drastically diminish. In this particular case, our forests to be denuded by a few of our own kind -- who with their "guns, goons and gold" have abused our lands and have taken the native poor, their fellow countrymen, for granted. Today, whatever and wherever beautiful, pristine piece of our homeland is left, it is being slowly parcelled out to foreigners, with the natives like us fenced out. We seem not to care and we allow such to occur... in our own homeland! When we begin our hike, we do so accompanied by a sled-like cart drawn by a carabao (water buffalo), rented for the peso equivalent of $2.50 from tatay's neighbor to pull our food and belongings. Carabao are the main work animals and the only technology most Philippine peasants ever dream of owning. (At a cost of about the equivalent of $250 per animal, however, even carabao remain an unaffordable dream for many.) They are said to be very dependable animals. But, as we discover, because they do not sweat and therefore have to be bathed every few hours, be it in a river or a mud puddle, as a means of transport they are slow. The former Pagdanan workers who lodged the complaint against Alvarez with DENR also brought a case against him with the Department of Labor, citing unfair labor practices and violation of labor law. They filed yet another with the Commission on Human Rights, charging that the Philippine military gave training to Pagdanan's guards who, in turn, have murdered several individuals. These workers too have felt Alvarez's power. According to one former Pagdanan worker, Alvarez initially laughed at the workers' case, boasting to some of them that he could buy off any lawyer they found. It was a threat he appears to have been able to follow through on three times—until leading human-rights lawyer Augusto "Bobbit" Sanchez (Aquino's first labor minister) offered to represent them. More personal threats of reprisals against them and their families have forced the labor leaders to leave Palawan. A battle is now pending in the lethargic and often corrupt Philippine courts. As the worker tells us: "It is very hard to win if your opponent is a rich person. ... This is a government of the rich. We are poor, so there is nothing for us." Indeed, Hartmann and Boyce's tubewell story is replayed in Palawan, only this time it is about trees, not irrigation facilities. The executive vice-president of Alvarez's Pagdanan Timber Products informs us that Alvarez's company is among those applying to DENR for some of the money from an Asian Development Bank loan for Philippine reforestation: "We intend to avail [ourselves] of the ADB reforestry loan. We want to get a big portion." The Asian Development Bank and the other multilateral development banks have billed this and other reforestation loans as part of their answer to complaints by Western environmental groups that they do not lend enough for environmental projects. But the on-the-ground reality is somewhat different, as longtime Philippine-based Irish Columban missionary and ecologist Sean McDonagh elaborates to us: "When you say the Asian Development Bank is going to replant trees, everyone claps. But [the ADB loan] isn't for real reforestation of hardwood forests. It is to put plantations on the hills, which will be monocropped. And the very people who replant it will be the loggers who took the original forest down," who will then, of course, get richer taking it down again. The export frenzy to earn foreign exchange to repay the Marcos debt reinforces the activities of Alvarez and others involved in the extraction or destruction of natural resources. (In 1988, official export earnings from timber were $200 million.) 31 Debt did not cause the Philippines to become a plunder economy; the country had started on its path to plunder long before. What the debt burden did was add one more reason to allow the plunder to continue. But the people of Palawan are fighting back. Note 1: Department of Environment and Natural Resources, "The Philippine Environment," briefing paper on the state of the environment, Manila, 1989, p. 29; Dames & Moore International, Louis Berger International, and Institute for Development Anthropology for the United States Agency for International Development, Sustainable Natural Resources Assessment—Philippines: A Review of the Present Status with Recommendations for Future Directions, U.S. Aid Project 398-0249 (Manila: U.S. Agency for International Development, September, 1989), annex D, p. D-13; and J. Honculada Primavera, "Intensive Prawn Farming in the Philippines: Ecological, Social, and Economic Implications," Ambio 20, 1 (February, 1991): 29. Note 2: Nicholas Guppy, "Tropical Deforestation: The Global View," Foreign Affairs 62, 4 (Spring, 1984): 949. Note 3: See James F. Eder, On the Road to Tribal Extinction: Depopulation, Deculturation, and Adaptive Well-Being Among the Batak of the Philippines (Berkeley: University of California Press, 1987). Note 4: The figure of 19,000 hectares cited in this paragraph is from Melanie Manlogon, "Interview with Maximo T. Kalaw, Jr.: A Million Signatures for Palawan," National Midweek 3 (July 6, 1988): 15. The 54 percent figure was given by Kalaw in personal correspondence to the authors, June 23, 1989. In addition to the interviews we conducted and the National Midweek article, the information on Alvarez in this paragraph and the next comes from James Clad and Marites Vitug, "Philippines: The Plunder of Palawan," Far Eastern Economic Review (November 24, 1988): cover story; and transcript of interview with Maximo Kalaw, Jr., conducted by Dolores Flamiano, John Gershman, and Walden Bello, staff of the Philippine Resource Center Monitor, Philippine Resource Center, Berkeley, California, May, 1989. 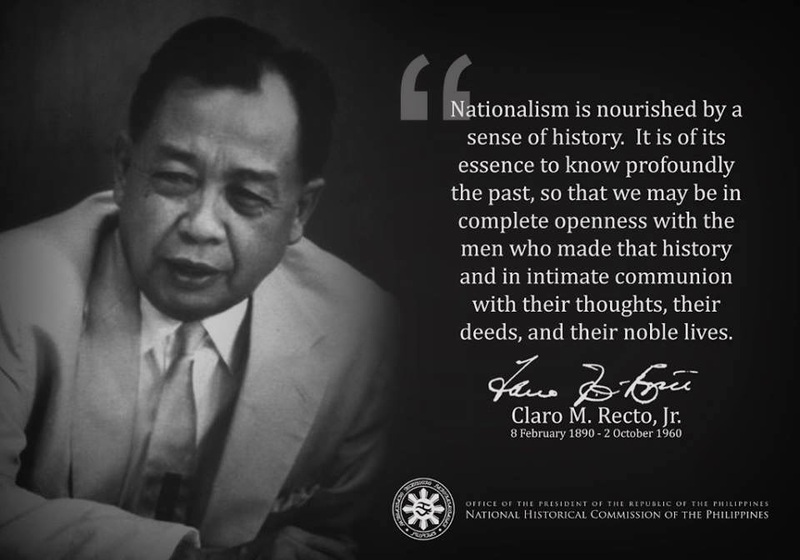 On the Philippines, see also Owen J. Lynch, Jr., "Colonial Legacies in a Fragile Republic: A History of Philippine Land Law and State Formation," Ph.D. dissertation, Yale University Law School, 1991; and Antonio G.M. La Viña, "Recognition of Ancestral Domains: An Imperative for Democratic Upland Resource Management," in Chip Fay, ed., Our Threatened Heritage: The Transcript, Recommendations, and Papers of the Solidarity Seminar on the Environment (Manila: Solidaridad Publishing House, 1989). Note 6: Transcript of interview with Kalaw by Flamiano, Gershman, and Bello, pp. 2-3. Note 7: Isagani de Castro, Jr., "Money and Moguls: Oiling the Campaign Machinery," in Lorna Kalaw-Tirol and Sheila Coronel, eds., 1992 and Beyond: Forces and Issues in Philippine Elections (Quezon City: Philippine Center for Investigative Journalism and the Ateneo Center for Social Policy and Public Affairs, 1992); and John McBeth, "The Final Test," Far Eastern Economic Review (June 13, 1991): 35. See also Belinda A. Aquino, Politics of Plunder: The Philippines Under Marcos (Quezon City: Great Books Trading in cooperation with the University of the Philippines College of Public Administration, 1987); and Paul Hutchcroft, "Olìgarchs and Cronies in the Philippine State: The Politics of Patrimonial Plunder," World Politics 43, 3 (April, 1991). Note 8: Sean McDonagh, S.S.C., The Greening of the Church (Maryknoll, New York: Orbis Books, 1990), p. 81. Note 9: Manlogon, "Interview with Kalaw," p. 16. Note 10: Manlogon, "Interview with Kalaw," p. 16. The budget figure was provided by a member of the Palawan provincial board. Note 11: See, for example, the advertisement entitled "The Truth Behind the Palawan Forest Conservation Issue," Philippine Daily Inquirer, November 26, 1988. Note 12: Transcript of interview with Kalaw by Flamiano, Gershman, and Bello, p. 2. Note 13: Gareth Porter with Delfin Ganapin, Jr., Resources, Population, and the Philippines' Future: A Case Study, WRI Paper No. 4 (Washington, D.C.: World Resources Institute, 1988), p. 13. Note 14: See Sheldon Annis, "Debt and Wrong-Way Resource Flows in Costa Rica," Ethics and International Affairs 4 (1990): 119, for an insightful distinction between the "merely poor" (who are resource optimizers and protectors) and the "very, very poor" (to whom this paragraph is refering). Note 15: Nestor Baguinon, "Development and Conservation of Indigenous Non-Dipterocarp Trees and Shrubs," paper prepared for National Conference on Genetic Resources and Development, Tagaytay City, September 2-6, 1987, quoted in McDonagh, The Greening of the Church, p. 83. Note 16: Norman Myers, who has been studying rainforests for decades, summed up the role and motivation of small farmers in a passage that merits quoting at length: "There is strong reason to believe the present deforestation rate will continue to accelerate for the foreseeable future unless vigorous measures are taken with due urgency to tackle the main causes of deforestation, viz. the commercial logger, the cattle rancher and the smallscale farmer. The third appears to account for much more deforestation than the other two combined, while being far less 'blameworthy.' In his main manifestation as the shifted (displaced) cultivator, the smallscale farmer is subject to a host of forces—population pressures, pervasive poverty, maldistribution of traditional farmlands, inequitable land-tenure systems, inadequate attention to subsistence agriculture, adverse trade and aid patterns, and international debt—that he is little able to comprehend, let alone to control. Thus he reflects a failure of development strategies overall, and his problem can be confronted only by a major restructuring of policies on the part of governments and international agencies concerned. Without an integrated effort of sufficient scope, there is every prospect that we shall witness the demise of most tropical forests within another few decades" (Norman Myers, Deforestation Rates in Tropical Forests and Their Climatic Implications \[London: Friends of the Earth, 1989\], p. 2). See also Myers's "Environmental Degradation and Some Economic Consequences in the Philippines," Environmental Conservation 15, 3 (Autumn, 1988). Note 17: See Clad and Vitug, "Philippines: The Plunder of Palawan." Note 18: Betsy Hartmann and James Boyce, Needless Hunger: Voices from a Bangladesh Village (San Francisco: Institute for Food and Development Policy, 1979). See also their A Quiet Violence: A View from a Bangladesh Village (San Francisco: Institute for Food and Development Policy, 1983). Note 19: David M. Kummer, "Deforestation in the Post-War Philippines," Ph.D. dissertation, Boston University, 1990, p. 236. Note 20: World Wildlife Federation, "First Debt-for-Nature Swap in Asia," news release, June 23, 1988, p. 1. Note 21: Sylvia Mayuga, "The Last Preserve," Philippine Daily Globe, May 30, 1989. Note 22: McDonagh, The Greening of the Church, pp. 74-106; Richard P. Tucker, "Five Hundred Years of Tropical Forest Exploitation," in Suzanne Head and Robert Heizman, eds., Lessons of the Rainforest (San Francisco: Sierra Club Books, 1990); Dennis M. Roth, "Philippine Forests and Forestry, 1565-1920," in Richard P. Tucker and J. F. Richards, eds., Global Deforestation and the Nineteenth Century World Economy (Durham, N.C.: Duke University Press, 1983), pp. 35-49; and Porter with Ganapin, Resources, Population, and the Philippines' Future, pp. 23-33. Note 23: Tucker, "Five Hundred Years of Tropical Forest Exploitation," p. 49. "Raw logs" refers to SITC category 242, "rough wood," in United Nations, 1978 Yearbook of International Trade Statistics (New York: United Nations, 1979), p. 63. Note 24: Delfin Ganapin, Jr., "Environmental Crisis in the Philippines: A Challenge to the NGO Community," speech at symposium of the Philippine Rural Reconstruction Movement (PRRM), Quezon City, June 29, 1989. Note 25: Porter with Ganapin, Resources, Population, and the Philippines' Future, p. 27. Note 26: Guppy, "Tropical Deforestation: The Global View," p. 949. Note 27: See Marites Danguilan-Vitug, "Fighting for Life," Far Eastern Economic Review (June 13, 1991). Note 28: World Bank, Philippines: Environment and Natural Resource Management Study, A World Bank Country Study (Washington, D.C.: World Bank, 1989), p. 5. Note 29: Figures from Republic of the Philippines, Department of Budget and Management, Budget of Expenditures and Sources of Financing, 1987-1991, quoted in Jenina Joy Chavez, "Bogged Down (by) Budgeting," Ibon Facts & Figures 14, 1 (January 15, 1991): table 1. Note 30: For more on the World Bank and the International Monetary Fund, see Robin Broad, Unequal Alliance: The World Bank, the International Monetary Fund, and the Philippines (Berkeley: University of California Press, 1988; paperback ed., 1990). On the connection between debt and environmental destruction, see Susan George, The Debt Boomerang: How Third World Debt Harms Us All (London: Pluto Press, 1992), pp. 1-33. Note 31: "A Brazilian Tale," Economist (February 18, 1989): 31. I believe that Palawan is the Garden Of Eden as what Jose Rizal wrote it in his Mi Ultimo Adios few hours before he was executed at Luneta...!